The pirates saw themselves as free sailors. 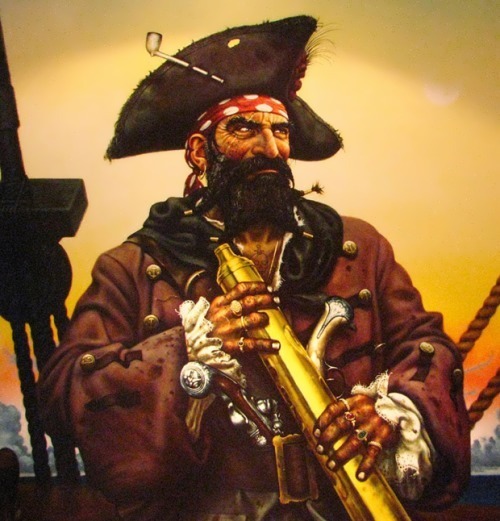 The most famous pirates sailed the seas from the late 1500s to the early 1800s. 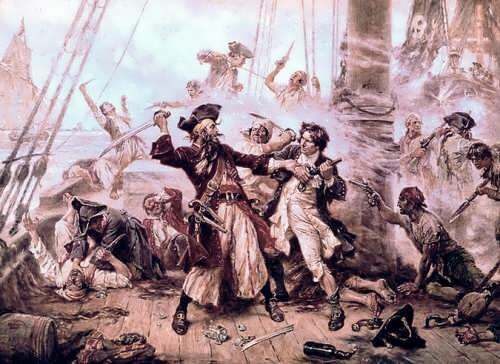 The word ‘piracy’ comes from the ancient Greek word for attack. 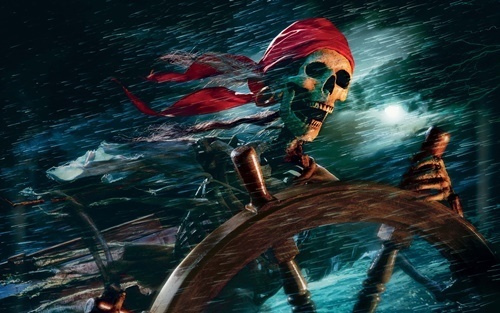 In fact, ancient Greece was home to some of the earliest-known pirates. Pirates of the Mediterranean were known as ‘corsairs’. The most famous corsairs were Muslims from North Africa. They took great pleasure in attacking Christian ships. 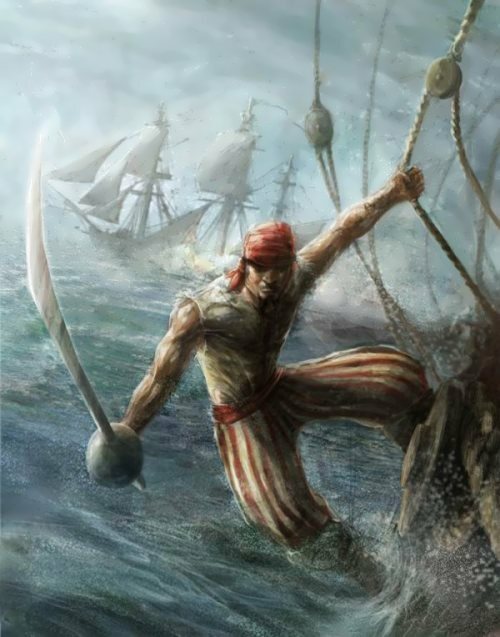 Corsairs wanted people, not treasure, so that they could sell them as slaves or make them row their ships. 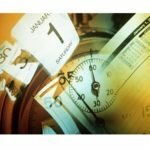 Half-naked slaves had to row 20 hours a day! Roman pirates once kidnapped young Julius Caesar and kept him for five weeks. 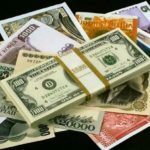 They released him after a ransom was paid. Then Julius returned and killed them. 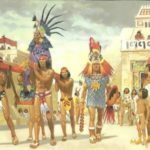 In the 16th century, Spain invaded Central and South America, the land of the Incas and Aztecs. For 150 years Spanish galleons carried gold, silver and other riches across the Atlantic Ocean. Pirates attacked and robbed these huge ships. Some sailors were given permission to attack ships from enemy countries. These sailors didn’t call themselves pirates, but were known as ‘privateers’. The most famous British privateers were Francis Drake and Walter Raleigh who were given permission to attack Spanish ships. After the privateers came the buccaneers (Caribbean pirates of the 1600s). When governments stopped giving sailors permission to attack enemy ships, many privateers became pirates instead. 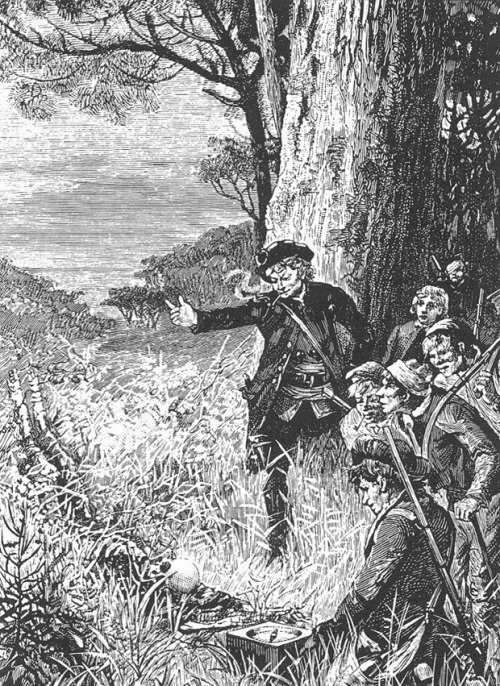 The buccaneers were often joined by criminals, slaves and ex-soldiers. Pirates sailed the Indian Ocean for many centuries. 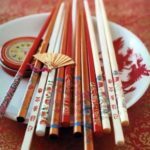 They liked the exotic treasures of the East, such as silks, spices and precious stones. The large island of Madagascar was once wild and unexplored, so it was easy for pirates to hide there. Women, too, became pirates sometimes. 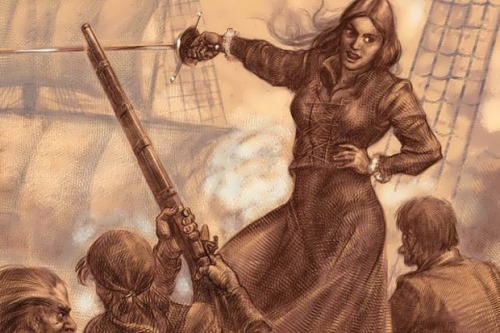 Two of the most famous women pirates who fought bravely together were Anne Bonny and Mary Read. These ladies struck terror in the hearts of friends and enemies alike. A pirate ship in full sail was a frightening sight. In order to catch and rob treasure galleons, they had to be small and fast. They usually had lots of sails and a large crew. Most pirates lived on ships called schooners or galleys. Schooners were small and had two masts. Galleys were larger ships and had three masts. The pirate flag was called the ‘Jolly Roger’. It was usually a black flag with a white skull and crossed bones. 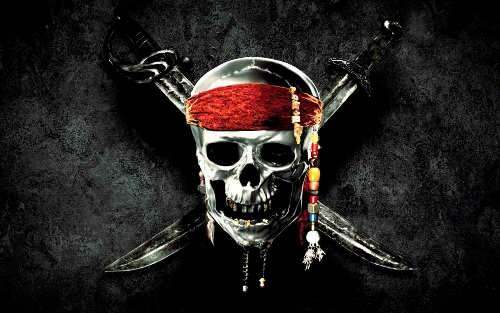 The ‘Jolly Roger’ was raised when a pirate ship decided to attack. – They used cannons to hit the other ship’s mast and sails. – They dressed up as women passengers. – They raised a friendly (stolen) flag. – You must obey the captain’s orders. – If you keep a secret from your shipmates you will be marooned. You’ll be left on a desert island with a bottle of water, some gunpowder and a gun with one bullet. – If you run away in a battle or bring a woman on board you’ll be killed. Although there are many stories of buried treasure, very little has ever been found. 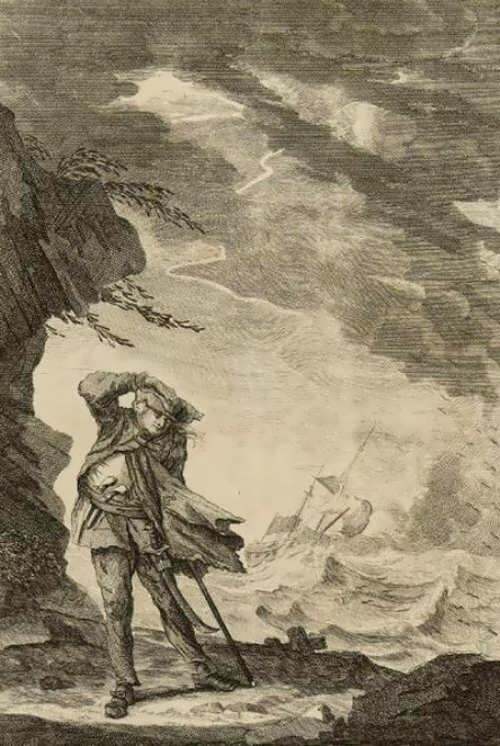 One of the most famous legends about buried treasure is the treasure of William Kidd. There are still lots of pirates on the seas today. Pirate attacks are still a threat to shipping in the South China Sea and off the northern coast of Africa near Somalia. Modern pirates do not sail the seas on pirate ships. Instead, they attack from the coast using speedboats and small gunboats. William Kidd made only one voyage and took a serious trophy which caused serious political scandal. Kidd was hanged in Wapping, his body in a cage hung over the Thames in order to prevent all potential pirates. 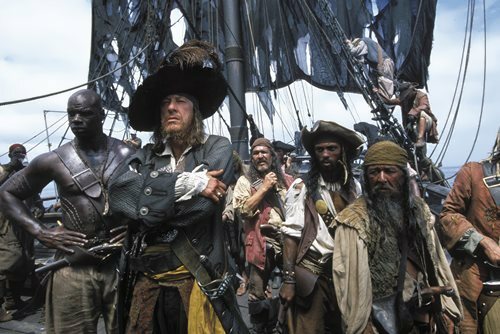 In 1717, the ship on which Mary Read served as a sailor was captured by pirates, and she agreed to work for them. She wore men’s clothes in battles. Mary died in a Jamaican prison in 1721. 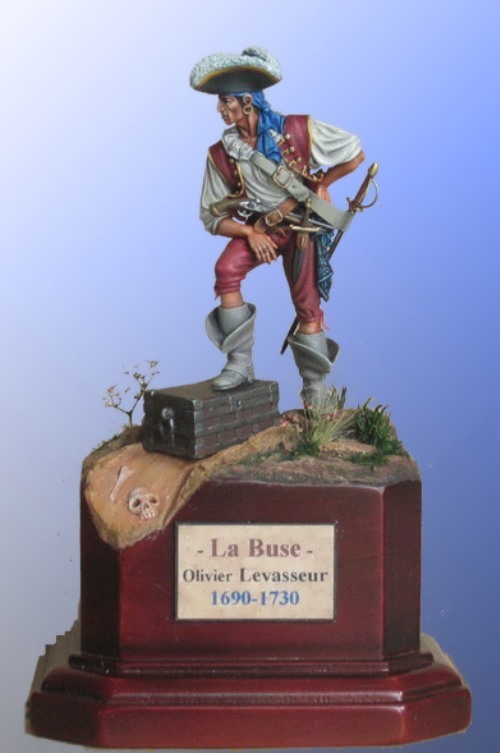 Olivier Levasseur was a French pirate, also known by the nicknames La Buse (The Buzzard) or La Bouche (The Mouth). According to one legend, Olivier hid the greatest treasure of all time. 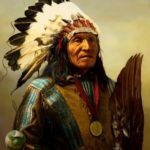 Information about where was the treasure was in the form of a cryptogram on his neck. Grace O’Malley (1530-1603). 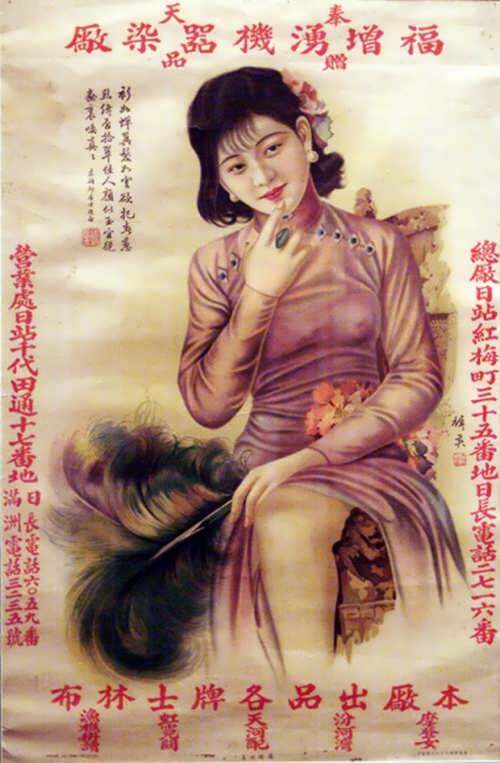 The life of the girl was a continuous series of adventure-loving adventure. Her father was a pirate and they worked together. After her father’s death she became a matriarch of Owen clan. She was a mother of four children. 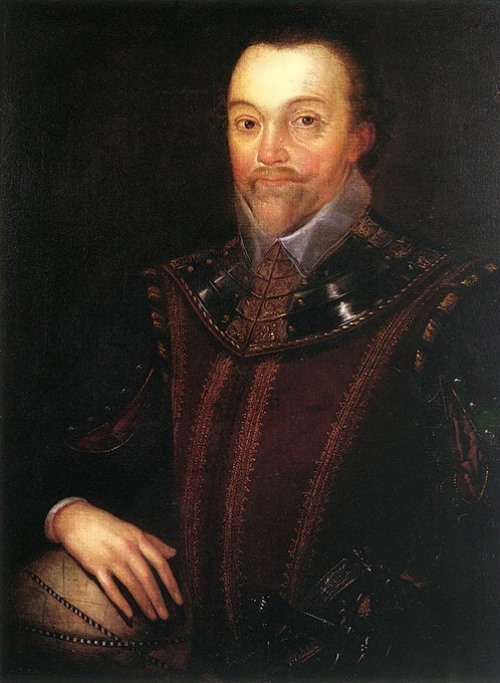 Francis Drake, born in England, was a mariner and a privateer. At the age of 18 Drake became the captain of a pirate ship. He was the first Englishman who traveled around the world (1577-1580). He was a member of a secret voyage to South America. Drake was knighted and received the rank of admiral. He died of dengue fever. 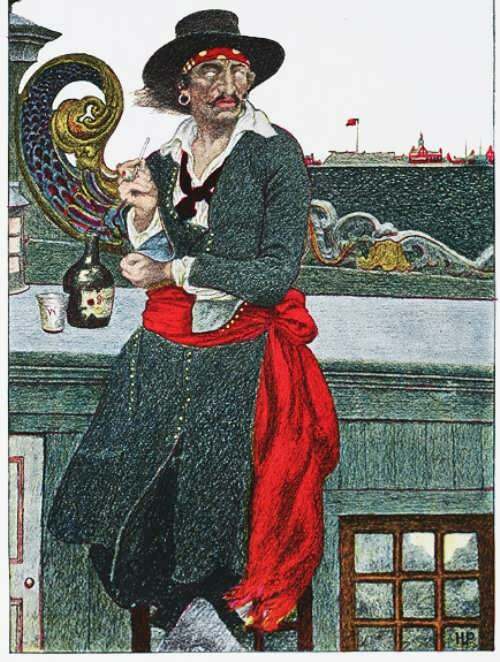 Henry Morgan (1635-1688) was the most well-known and famous pirate. Henry helped England to control the whole of the Caribbean region. For this he received the rank of governor of Jamaica. He died of cirrhosis of the liver, and was buried as a nobleman. Then the cemetery was wave-washed. 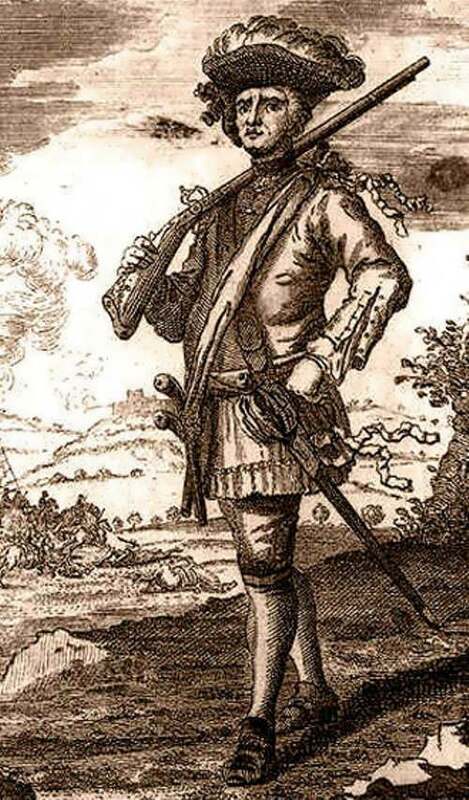 Edward Teach, better known by the nickname Blackbeard, was infamous killer. Edward Low, also known as Ned Lowe, was a British pirate of the eighteenth century. 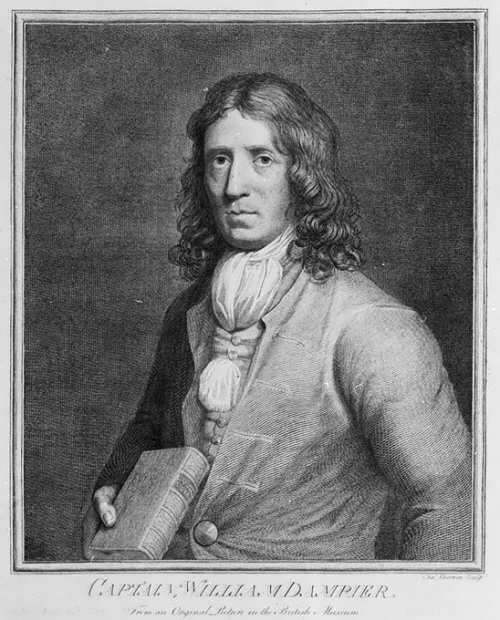 William Dampier was an English explorer, pirate, merchant and scientist, who had made three trips around the world, discovered a lot of islands in the Pacific Ocean. 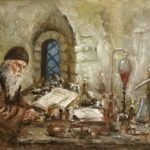 He wrote a number of books on his travels. He is considered the father of modern oceanography. 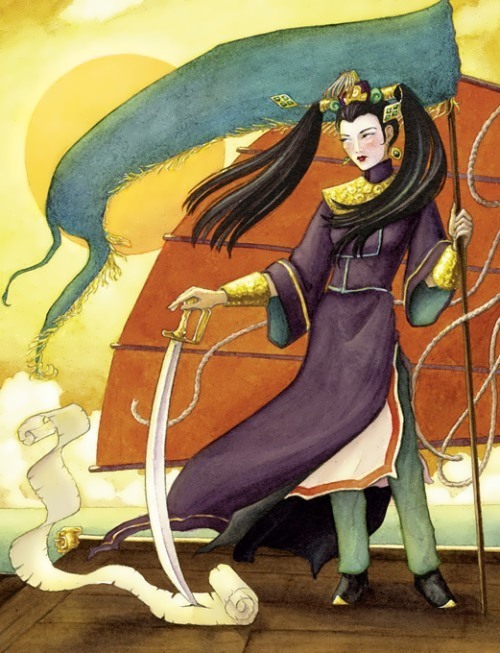 Zheng Shi, also called Ching Shih, was a Chinese sea robber who became one of the most successful person in the history of the pirates. She commanded 2000 ships and more than 70,000 sailors. Captain Flint is one of the most famous fictional characters created by Scottish writer Robert Louis Stevenson. One of the invaders of Artic Sea, Alexander Lunev entered the cohort of most famous filibusters.